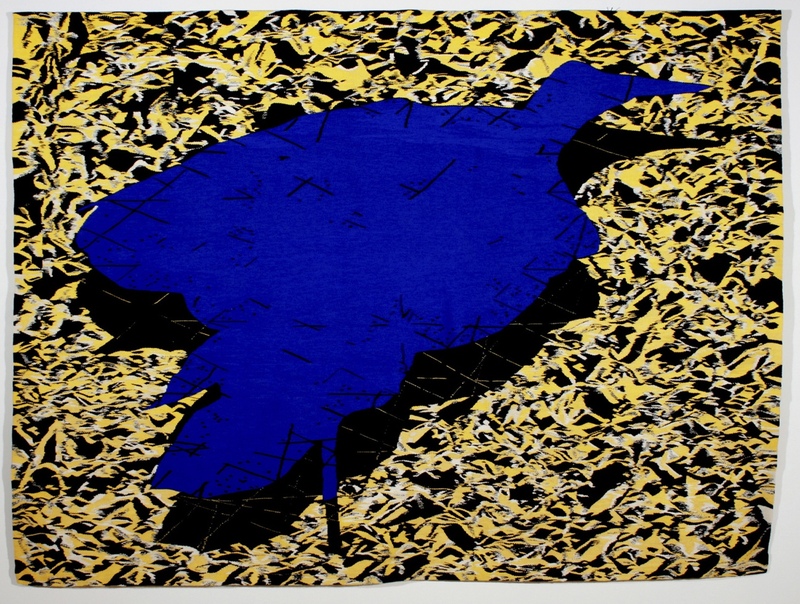 Congratulations to Melinda Heal who was awarded the 2007 ATA International Student Award for her work accomplished while pursuing a Bachelor of Visual Arts Degree at Canberra School of Art, Australian National University. After completing Year 12 in 2004, I went on to further my education at the Australian National University in the center of Canberra. 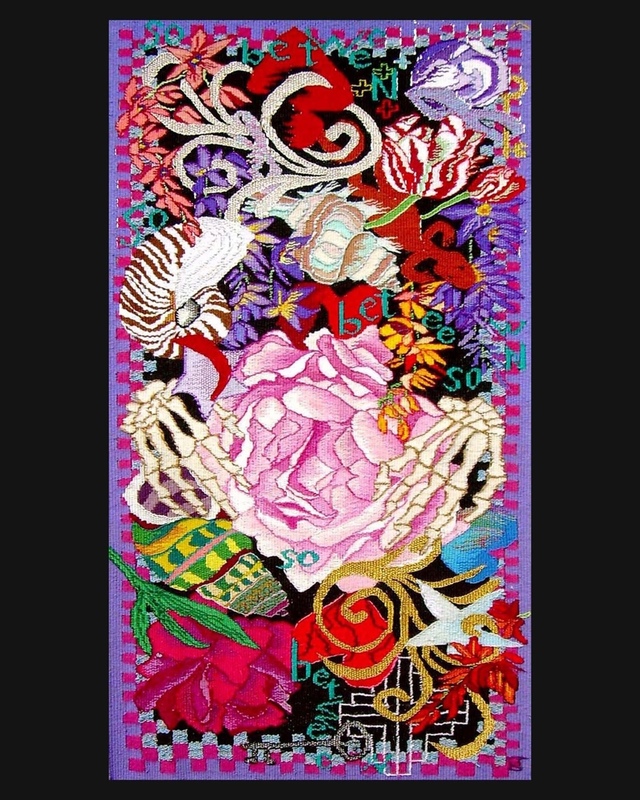 Having already had an interest in Japanese and textiles, I chose to study a double degree; Bachelor of Asian Studies and Bachelor of Visual Arts. 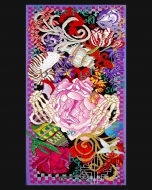 My majors in Asian Studies are the Japanese language and Contemporary Asian Studies. 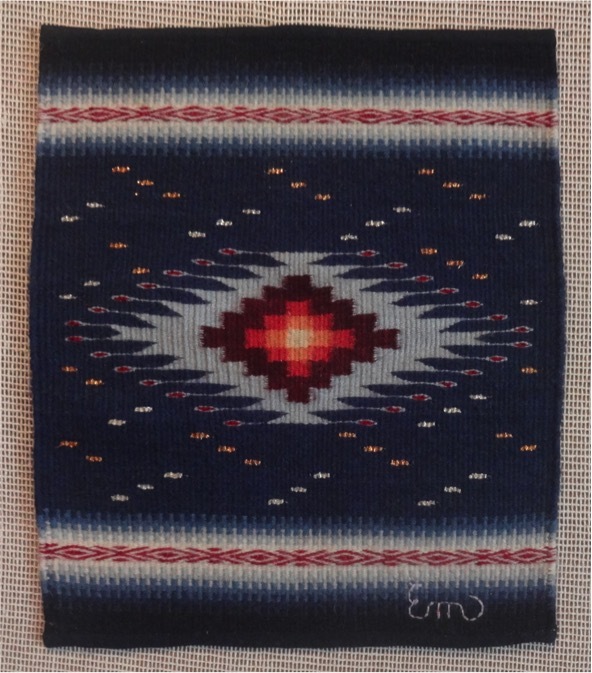 In Visual Arts, I chose to study Textiles. 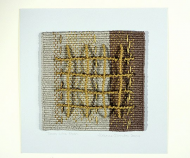 The visual part of of my course is run by the Canberra School of Art which is part of the ANU.As part of my Textiles Major, we study weaving, tapestry weaving, drawing, painting, surface, design, printing techniques and computer assisted design. 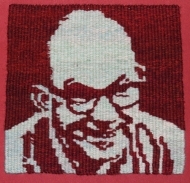 The class I had a particular connection with in my second year of study is tapestry weaving which I am now pursuing third year work in the same medium. 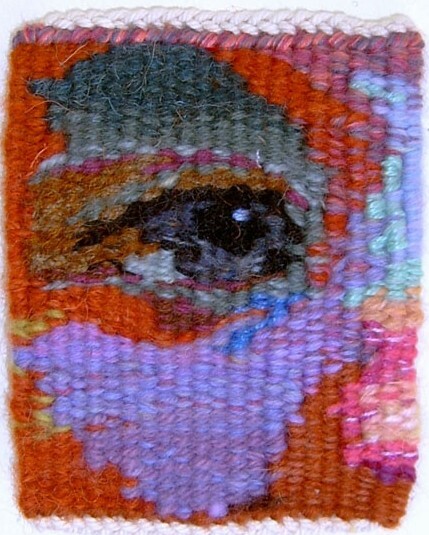 I enjoy tapestry because of its process and the resulting woven piece. 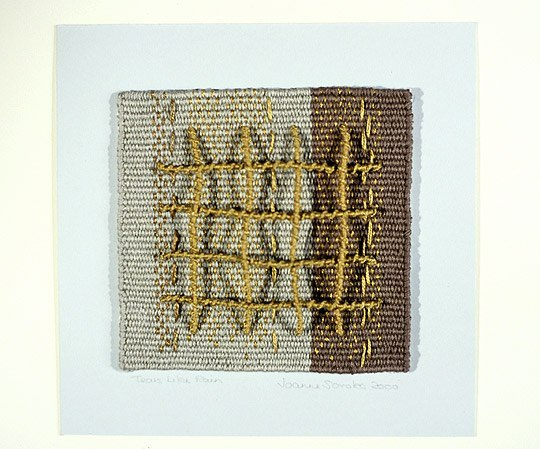 Constructing an image and a tangible surface and object at the same time is something very particular to tapestry. I hope to continue my study of tapestry this year and and to continue to develop my skills and keep producing work. Tapestry, for me, is a way to record the impressions of things that are important to me; the creation of an image and, simultaneously an object. 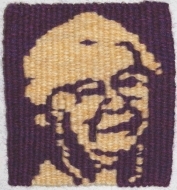 The tapestries I have woven recently are focused on the human face, particularly the faces of family friends. 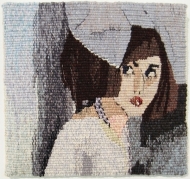 Faces not only record identities and reveal personalty but also provide endless possibilities for woven exploration. 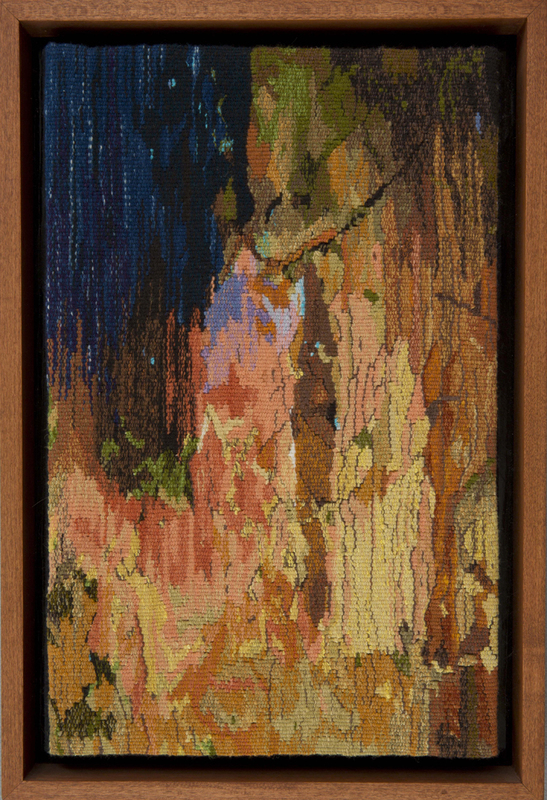 In my biggest tapestry so far, “Focusing on Focusing,” I have made a montage of faces of my family and reduced the colours and visual information in order to allow myself and the viewer to focus on the faces as landscape; shapes, colours and movement. 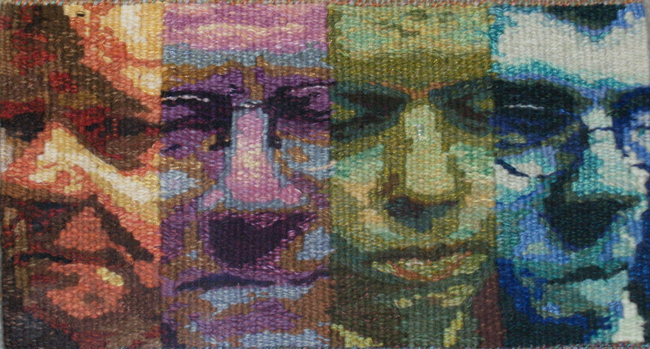 The faces of my family are shown with their eyes closed or with a look of concentration so that the tapestry is in fact, focusing in my family being focused. 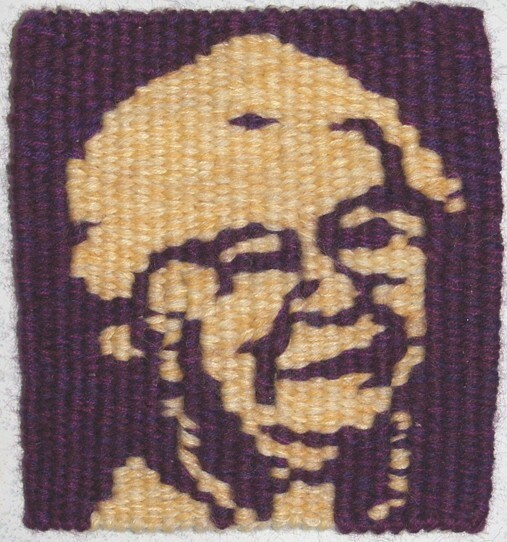 After completing “Focusing on Focusing,” I reduced the visual information even further to create portraits of my grandparents in the tapestries “Grandma” and “Cros.” These allowed me to explore just how much information can be lost and still retain the likeness of the subject. 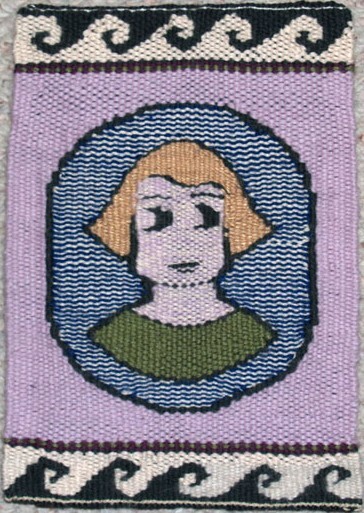 “Coptic Mel” was a self portrait woven using the techniques of Coptic tapestry; fine eccentric weft, linen warp, quirky aces and various traditional motifs. 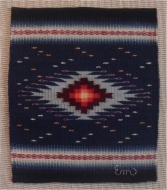 It was interesting to see what happens when a modern subject is woven with an ancient style or technique. “Eye” was another exploration into the face this time zooming in on a feature and examining all the detail. The result is a very real and at the same time completely unreal in terms of colour and size.